When I began doing research on this topic, I was sure the results would be that working out was great for your skin. Somehow, in my brain, a good sweat session was always followed by flushed, rosy cheeks and glowing skin. Not so. There are some benefits, of course, in that working out increases blood circulation, which brings new nutrients to the cells and oxygen to the skin. So it definitely is helpful for getting a glow. There's also stress reduction, and while less stress is great for your mental health and wellness, it's also good for your complexion. According to celebrity esthetician Renée Rouleau, working out also produces cortisol, which can lessen stress-related breakouts. But that was the extent of the pros: Rouleau went on to list a myriad of problems that exercise can cause in your skin. From redness and melasma to bacteria and dryness, she lays out all the issues (and subsequent solutions) you should take into account before, during, and after a workout. "Due to the increase of blood circulation, your exercise routine can cause wear and tear on fragile capillaries for those with redness-prone skin (like those with rosacea)," Rouleau explains. To remedy, apply a calming, milky serum to your skin post-workout. 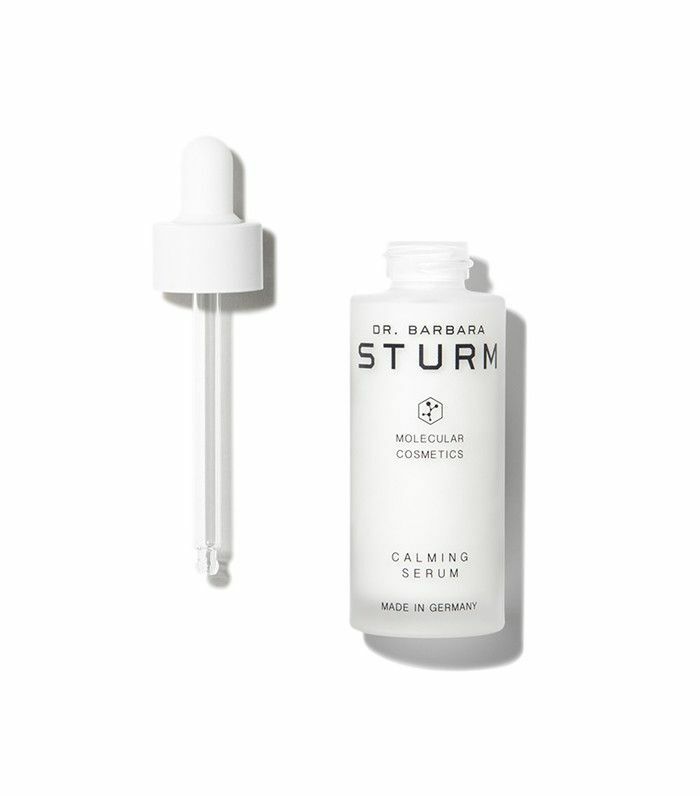 We're really into Dr. Barbara Sturm's Calming Serum ($255) because the plant-based blend rebalances an irritated complexion and strengthens your skin's natural defenses. It's unbelievably gentle but also improves sensitivity over time. "Sweat glands (also known as sudoriferous glands), are located in the epidermis and produce moisture (sweat) that is secreted through tiny ducts onto the surface of your skin," says Rouleau. She continues, "There are two types of sweat glands: apocrine glands and eccrine glands. The latter are found over the entire body, including your face. They regulate body temperature by bringing water via your pores to the surface of the skin where it evaporates and reduces skin temperature. Sweat can, in fact, create an occlusion of the pores, resulting in red bumps caused by a combination of sweat and oil. This can create clogged pores, which aren't so much like big blemishes but rather more of a cluster of red, rash-like bumps. The solution for this is to cleanse your skin more frequently (definitely post-workout) and use a well-formulated salicylic acid serum." In fact, for acne-prone skin types, "headbands, hats, or bandanas are not doing you any favors," says Rouleau. "They can cause a backup of oil and perspiration in your pores. Try to keep your headband or bandana further back in your hairline instead of directly across your forehead." "For years, brown sun spots were thought to be solely from the sun," notes Rouleau. "We now know it will also stimulate melanin activity. If you're someone prone to pigmentation, an important goal is to keep the temperature of the skin as cool as possible, and exercise (particularly hot yoga) isn't helpful. Consider a standard yoga class instead. Hot yoga is a very obvious example of placing yourself in extreme heat, but don't forget activities like sitting in the sauna or going for a run can do the same. 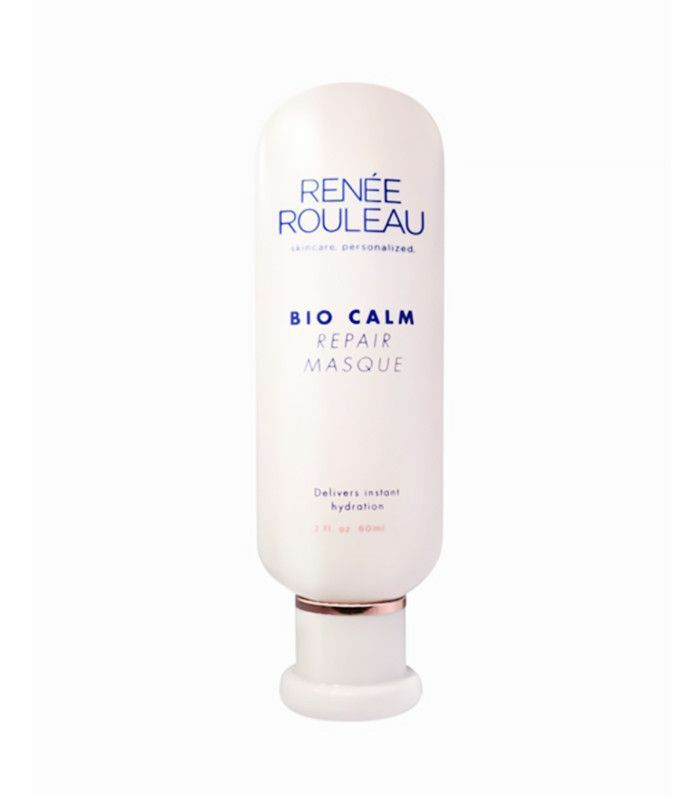 A quick way to cool down the skin post-workout to decrease the melanin activity is to keep a tube of a gel mask like the Bio Calm Repair Masque ($50) in the refrigerator and apply to clean skin. Leave on 15 minutes, and apply moisturizer. Gels naturally have a cooler temperature, but when kept in the fridge, [they] will be extra cold and will instantly reduce the skin temperature to keep it calm and to settle down melanin activity." "It's actually more important to wash your skin after than before working out because oils, bacteria, and sweat have accumulated on the skin," advises Rouleau. "But if you are wearing a heavy foundation, it's good to wash your skin pre-workout with a mild, non-drying cleanser, followed by an alcohol-free toner and a lightweight, oil-free lotion." She adds: "When you exercise, your skin loses water due to evaporation, leaving it dehydrated. 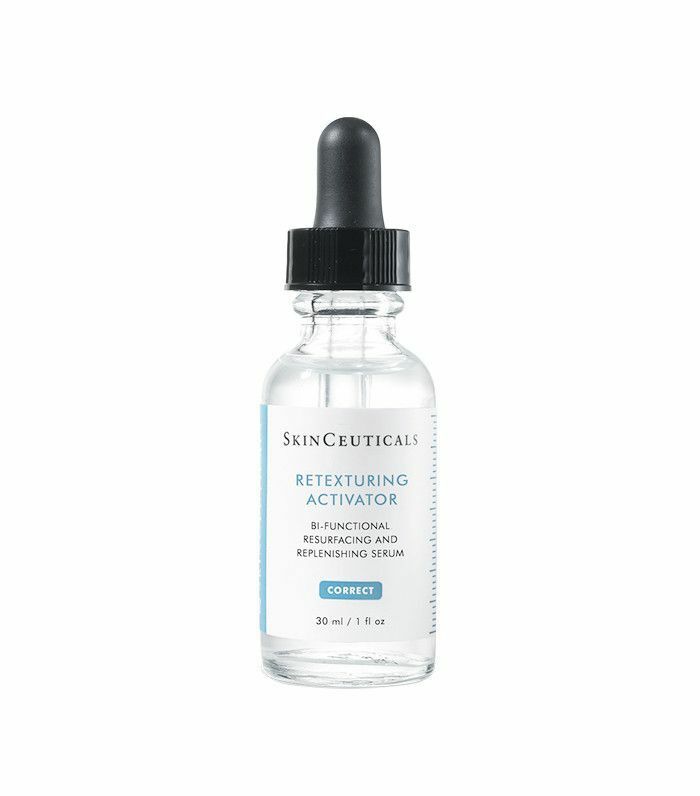 Dehydrated skin increases surface lines and causes skin cells to die prematurely, leading to premature aging and the potential for pores to clog. Using a lightweight moisturizer will help to retain the water in the skin." Also, since you lose so much water from perspiration, it is crucial that you replace it by drinking plenty of fluids before, during, and after workouts. "However," Rouleau continues, "from a skincare standpoint, research concludes that drinking water is the least efficient way to hydrate the skin. Skin hydration levels have much more to do with what you are using topically. A product like Skin Drink ($43) post-workout helps to hydrate the skin very well." Another shocking revelation? Skin mists are not helpful during your workout. Rouleau explains: "If you mist your skin with a water-based toner and do not apply any moisturizer over it to seal in hydration, it will attract the moisture and water out of your skin. Moisture acts like a magnet in that it attracts other moisture and will always go to the driest area. So misting your skin will make the moisture within your skin evaporate out, leaving it tight, dry, and dehydrated." FYI: These are the products Byrdie HQ will have in constant rotation this spring.